I’m Theresa and I have AS. My AS began in my 20s with several bouts of iritis. The iritis was diagnosed by a family friend’s very elderly opthalmologist. He treated the iritis well, as far as I knew. Yet for some reason, I sought out a second opthalmologist when the iritis kept recurring. This second doctor asked me if I’d ever been tested for Ankylosing Spondylitis. Of course I hadn’t and I knew nothing about such a weird-sounding condition. My DNA test results came back positive – I carry the hla-b27 gene. However, the only symptom that I was ever aware of was the recurring iritis. There were some acute episodes… once my doctor surprised me with a cortisone shot into my eyeball! My condition never progressed any further, however, and I felt very, very fortunate to have only these minor symptoms once every great while. I must say, however, that my vision gets progressively worse with every case of iritis. Since I turned 50 in 2010, my symptoms have increased. An old car accident injury in my right pelvis now reminds me that it’s there. Several of my fingers get close to seizing up in the mornings (which is fascinating because they are the same fingers that used to do that when I was about five years old! ), but I’m still profoundly fortunate because my symptoms are minor compared to others’. My current medical clinic doubts my claims of having AS or the beginnings of rheumatoid arthritis. I have no health benefits so the tests available from my clinic are the least expensive tests available and are horribly inaccurate. Yet I’m grateful to have so few symptoms and problems because of my AS. I know that being physically active and living a healthy lifestyle help me to feel good. I actually feel almost guilty to be as symptom-free as I am. 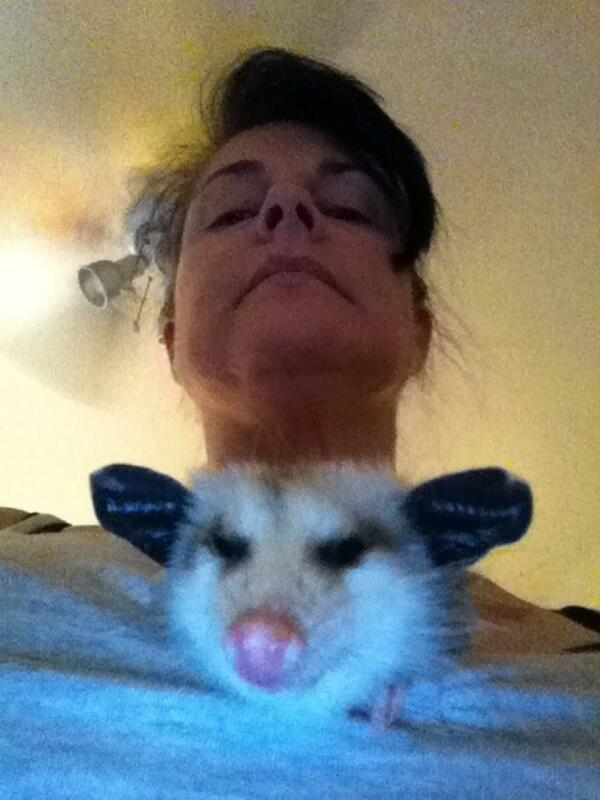 My passion is working with animals, particularly wildlife, and specifically opossums. I’ve applied for Fall 2012 admission to Cal Poly Pomona’s Animal Science program. I’ve worked with orphaned, abandoned, and unreleasable opossums since 2004. I currently have two rescued cats, one rescued bearded dragon, one blind and deaf unreleasable young adult opossum, and custody of two juvenile opossum littermates who’ll be released shortly. The animals are my calling. I’m amazingly lucky to live near the Arroyo Seco trail and get to see lots of little critters in my vicinity, such as possums, skunks, raccoons, squirrels, pocket gophers, owls, bats, hawks, vultures, and even once a coyote at dusk. What else causes Iritis? I’d call you an AS’er Theresa! During my first Iritis, the opthamologist said “we need to get on this or we’ll eventually have to “scrape away the scar tissue” with a spachula like device”. Creepy. 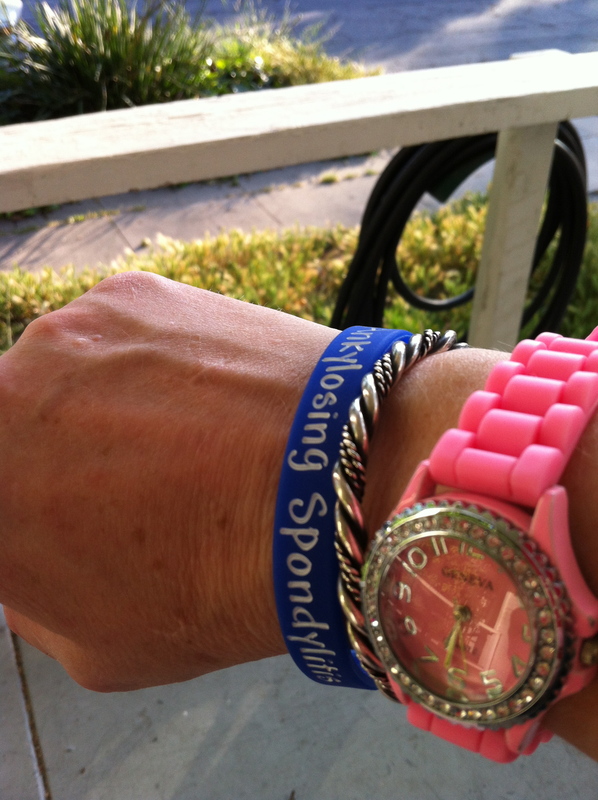 That visit was also the first time I heard of Anylosing Spodylitis. On my second iritis, another Opthamologist was describing what he saw to a student as “severe scar tissue”. Whoa, whadyamean? Doctors never want to scare you do they. With every iritis the dosage went up-pronto. No more iritis. Thanks for sharing Theresa, and be carefull. Thank you so much for sharing your story. Stand tall. I love your little friend there. God bless you Theresa. My eyes are really effected now too. Feels like glue in them and just a heavy feeling all the time. My little girl and I were trying to figure out which animal is in the picture. She kept saying, “possum.” And I said I don’t think so….